There’s no one-size-fits-all approach when it comes to relocation, and doing your research before hiring a moving company is essential to know that you’ll be getting the best service for the right price. 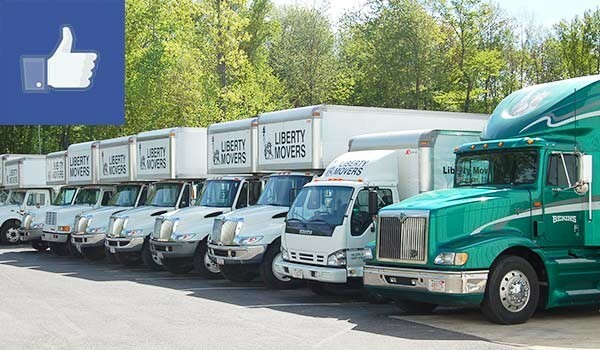 At Liberty Movers, we offer a vast selection of Worcester full-service moving solutions to meet the diverse needs of our customers—from local moving assistance to comprehensive, nationwide moves. With services that cover everything from packing and crating to storage and expert transportation, you can count on us for all of your relocation needs. Affordable: Moving your household shouldn’t be a process that breaks the bank, and our expert consultants will work with you to find the right plan for your budget. Personalized: With our expansive selection of services, you can pick and choose which options suit the needs of your relocation for a customized moving plan. Award-Winning: As a winner of several Bekin’s awards and the “Better Business Marketplace Excellence Award”, you can feel confident knowing your project is in the best of hands. Comprehensive: Whether you need long-term storage options, fragile-only packing, or top-to-bottom, full-service solutions, our experienced team has got you covered. Contact Our Team for Your Free, Full-Service Moving Estimate! When choosing qualified Worcester residential movers for your next relocation, you won’t find better value, service, and quality than with the professionals at Liberty Movers! Learn more about our full-service moving solutions today by giving us a call, or fill out our online form now to request an appointment for your free, no-obligation estimate.